In this session, Jaslyn would be playing her 7 Singing bowls, the Triple Heart Morganite and Emeral Alchemy Bowl, the Grounding Mother of Platinum Alchemy Bowl, the balancing Platinum Alchemy Bowl, the Calming Ocean Indium Alchemy Bowl, the Yagna Alchemy Bowl and a frosted Throat Chakra and a frosted Sacral Bowl during the session. 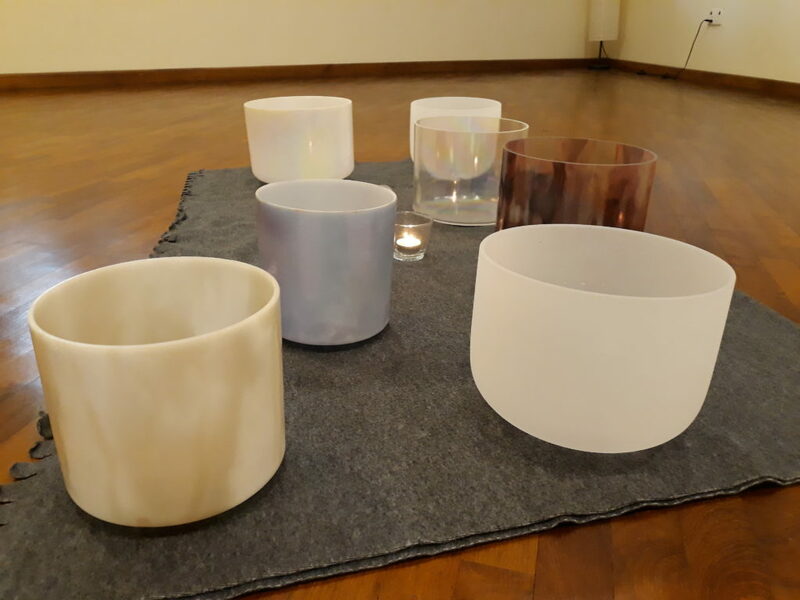 Participants can choose to lie down on yoga mats or sit up, whichever is more comfortable for them as Jaslyn play her bowls to cleanse and clear your chakras. Do bring along a shawl as the room might be cold, your favourite crystals or essential oil to enhance the experience.